I like this recipe as a last minute meal since most people have these ingredients in their kitchen . The orignial pin is from The Family Kitchen and they made these in a mini cupcake tin. So I figured I would try something new. I only have one thing that could be better. My corn dog muffins crumbled a lot while I was trying to eat them so baking them in a mini muffin tin is a great idea. 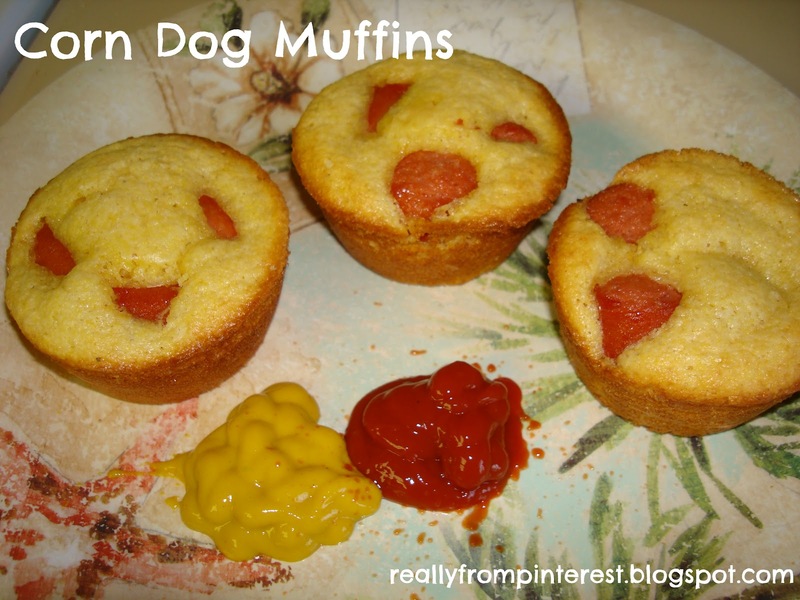 I put the hot dogs in the mix, before filling the muffin tin. Also, I add shredded cheddar to the mix. Mine don't crumble very often; only if I forget to spray my muffin tin beforehand and have to fight to get them out after baking.